Farm to Institution New England (FINE) compiled state profiles for each of the six New England states and released them in 2017. Maine's profile provides an overview of farm to institution statistics across three sectors: K-12, health care, and colleges & universities. 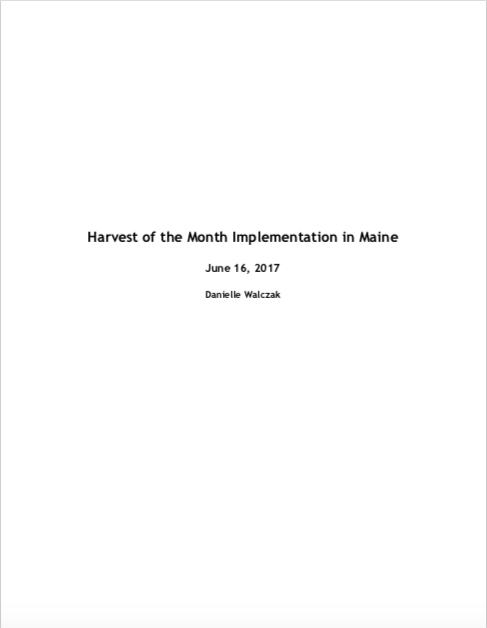 Maine Farm to Institution worked with researcher/author Danielle Walczak in 2017 to publish this report entitled "Harvest of the Month Implementation in Maine". 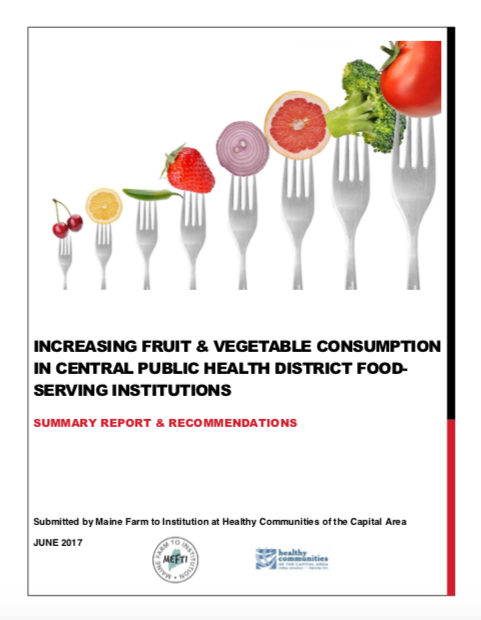 The report includes a summary of key elements of existing Harvest of the Month programs in New England and considerations/recommendations for the implementation of a Harvest of the Month program in Maine. Maine Farm to Institution (MEFTI), under the fiscal sponsorship of Healthy Communities of the Capital Area (HCCA), was contracted by the Central Public Health District (CPHD) to carry out one of the District Public Health Improvement Plan (DPHIP) Obesity Prevention Objectives. The specific project entailed assessing current levels of fruit and vegetable offerings in CPHD food-serving institutions, identifying any barriers to increased consumption of those offerings and, based on findings, forming an implementation plan to address any barriers. This report provides the summary of the findings of the project and recommendations.